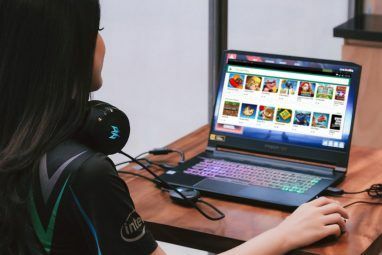 Massively multiplayer online role-playing games (MMORPGs) have long been the realm of PC gamers, with heavyweights like World of Warcraft Getting Started With World Of Warcraft: A Complete Newbie’s Guide Getting Started With World Of Warcraft: A Complete Newbie’s Guide Here’s what you need to know if you’ve never tried World of Warcraft before. Read More , Guild Wars, and Elder Scrolls ruling the genre. 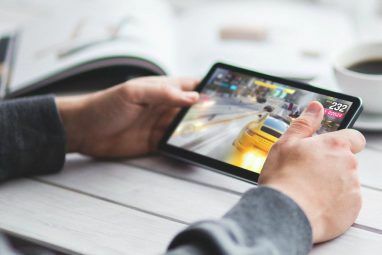 But a number of mobile developers have taken the leap into MMO territory and released their own role-playing games that can be enjoyed right from your phone (there are some interesting browser-based options The 8 Best Free MMOs You Don’t Have to Download The 8 Best Free MMOs You Don’t Have to Download Don't want to download files for an expensive MMO? 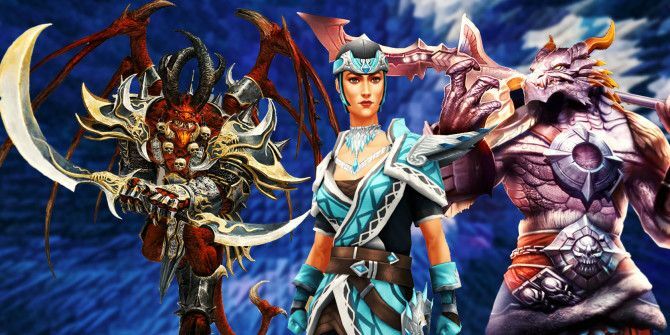 Check out these eight MMOs that you can play for free, right from your browser! Read More , as well). There are plenty of them out there, but these five are worth your time. As a mobile clone of World of Warcraft (WoW), the Order & Chaos series is likely to bring a lot of players to the mobile MMORPG scene. With five races (Orc, Human, Elf, Mendel, and Kratan), five classes (Blood Knight, Ranger, Mage, Warrior, and Monk), hundreds of quests, and a ton of gear to find and level up, the sequel to the popular Order & Chaos provides a ton of variety. Gather a team to explore dungeons, go solo, or take on other players in player-versus-player (PvP) mode to earn rewards. Big boss fights, trading items with other players, riding mounts, and complex weapon upgrades give Redemption a WoW-like feel, even though it’s necessarily quite a bit smaller. Still, its popularity gives it quite a bit of credibility in the mobile MMORPG scene. The game is free to download and play, though to speed your progress, you’ll likely be tempted to buy runes (the in-game currency) from the cash store What Can $20 Buy at These 3 MMORPG Cash Shops? What Can $20 Buy at These 3 MMORPG Cash Shops? Are any free-to-play games selling cash shop items worth your money? See three games compared so you know how much value to expect. Read More . You can also buy bundles that include runes, equipment, and other bonuses. When a game has enough sequels to put a “4” after the title, you know it’s a popular one — and that’s usually for a good reason. The Dungeon Hunter series is actually up to a fifth game at the time of this writing, but the fourth entry is generally better-liked. Gameloft calls this a “dark fantasy” game, and the resemblance to the Diablo series is likely no accident. Once you’ve picked one of four different warrior classes, you’ll embark on epic hack-n-slash quests to defeat monsters and bosses; collect loot, upgrade your gear, and keep progressing to unlock more of the story of Valenthia and the demons that have overrun it. You can venture out on your own, recruit friends for co-op missions, or take on other players in PvP. As with most other free-to-play mobile MMORPGs, Dungeon Hunter 4 is free to download and play, but you always have the option of paying real money to get some free gold, the in-game currency. Spacetime Studios has released a number of Legends-series games, of which Arcane Legends is the fantasy-themed entry. Not as dark as Dungeon Hunter or as serious-looking as Order & Chaos 2, this game has a bit of a lighter feel than many MMORPGs. The fact that you can choose a turtle as your pet is indicative of the game’s mood. Nonetheless, you’ll still have to choose from one of three classes, explore a huge cross-platform world 10 Awesome Cross-Platform Mobile Multiplayer Games You Need to Play 10 Awesome Cross-Platform Mobile Multiplayer Games You Need to Play You want to play more games with your friends, but you're using an iPhone and they're on Android. It's a predicament easily solved by choosing the right cross-platform game. Read More , collect and grow pets, play with and against others players, and search for the highest-level gear in the world. It’s pretty much everything you’d expect from a fantasy-themed mobile MMORPG. Arcane Legends is free to play, and you can purchase platinum, the in-game currency, with real money if you want to speed up your progress. If you’re not into the fantasy theme, check out Star Legends or Dark Legends, a vampire-themed MMO. Most MMORPGs are fantasy-themed, and Celtic Heroes is no different, but this game draws from Celtic mythology to populate a world of elves, druids, trolls, dragons, and much more (though the degree to which this game sticks to the true Celtic stories is up for debate). Choose from one of four classes, gear up, and venture out into the world to earn gold and glory! Most of the features are what you’ve probably come to expect after reading about the other games in the list; collecting and raising pets, tons of quests, lots of loot, epic adventures, PvP and co-op options The 7 Best Couch Co-Op Games on the PC The 7 Best Couch Co-Op Games on the PC Today, we're going to run down some of the best local co-op games available on the PC, as well as advice on how to get the most out of them. Read More . . . you won’t be disappointed by the feature set of this app. Like the others, it’s free to download, and free to play, but you can buy platinum, the in-game currency, with real cash. Another game that looks a lot like Diablo, this is a newer app than some of the others listed, but it’s still managed to make some waves. The three classes (Berserker, Gunslinger, and Shadow Mage) don’t give you quite as many options, but the leveling system allows you to choose new abilities to further differentiate your character. 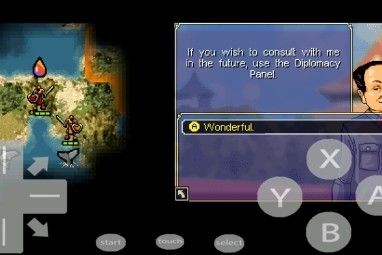 Angel Stone is also called a “dark fantasy” game, and you’ll see a lot of the same themes of good-versus-evil, demons and hellspawn, dungeon exploration, big boss battles, and the other facets of fantasy dungeon crawlers that you’ve come to know and love. You can also play through your browser with the same account as the one on your phone, which is a nice cross-platform touch. As you’ve probably already guessed, it’s free to download and play, but you can buy in-game currency (carats) with real money if you’re so inclined. A World of Elves, Orcs, and . . . Astronauts? Whatever sort of MMO you prefer, whether it’s classic World-of-Warcraft-style elves and orcs, the demon-smashing of Angel Stone, or space exploration and sci-fi survival in Star Legends, you can check it out for free on your phone and play no matter where you are. These five options are great, but we’re sure there are other good ones out there. What’s your favorite free-to-play mobile MMORPG? Have you played any of the above? Or do you think it’s worth it to pay for your MMO apps? Share your thoughts and recommendations in the comments below! Explore more about: Free Games, MMO Games, Mobile Gaming. Order & Chaos is my favorite game. There are many interesting time with it. I haven't tried that one out yet, but it does look like a lot of fun! I'll have to give it a shot.